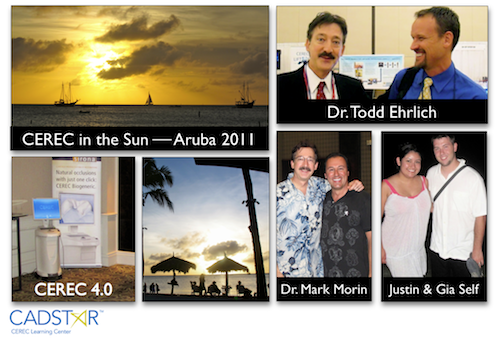 Thanks to Dr. Mark Morin (CEREC Master Trainer) and his crew, had a great Aruba CEREC in the Sun experience. It was enjoyable collaborating with Dr. Todd Ehrlich, a CEREC Master Trainer (www.cerecology.com) . Justin Self (multimedia extraordinaire for CADStar) and his wife Gia celebrated an Aruba anniversary.